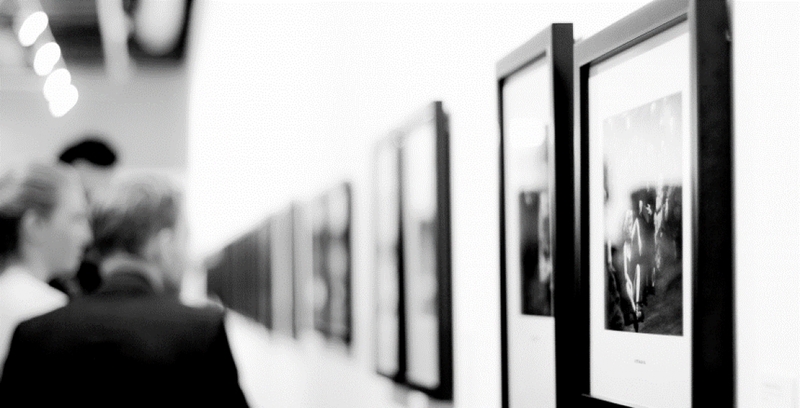 Experience art fairs from all over the world. Browse the most important rendez-vous in the Art sector. The Tate Modern in London is exhibiting Pablo Picasso with the EY Exhibition : Picasso 1932 - Love, Fame, Tragedy from 08/03/2018 to 09/09/2018. Pablo Picasso will also be exhibited by the Met Breuer in New York with the exhibition : "Obsession : Nudes by Klimt, Schiele and Picasso", from 03/07/2018 to 07/10/2018. Christo and Jeanne-Claude will be exhibited at the Serpentine Gallery in London. The exhibition "Christo and Jeanne-Claude : Barrels and the Mastaba 1958-2018" will be accessible from 19/06/2018 to 09/09/2018. The MCA Chicago will host the "Heaven and Earth : Alexander Calder and Jeff Koons" exhibition, featuring Alexander Calder, from 21/10/2017 to 31/03/2019. Alexander Calder will also have his exhibition in Europe, in Bruton in the UK. The /exhibition name is "From the Stony River to the Sky" at the Houser & Wirth Somerset. Jannis Kounellis will have his exhibition in Hong Kong, at the Massimo De Carlo, from 25/05/2018 to 30/06/2018. Michelangelo Pistoletto will have his work exhibited in the Galleria Continua Beijing in Beijing, from 23/06/2018 to 21/10/2018. - Henry Moore Display, at the Tate Britain in London, from 01/01/2014 to 31/12/2018. - Out of the Block : Henry Moore Carvings, at the Henry Moore Foundation, in Mach Hadham, in the United Kingdom. - Henry Moore's Lithographs : with Stanley Jones and Auberon Hedgecoe. Jackson Pollock will be exhibited at the MOCA Grand in Los Angeles. The exhibition is "Jackson Pollock's Number 1, 1949 : A Conservation Treatment" from 04/09/2018 to 09/09/2018. About Surrealism, Joan Mirò will have the exhibition "Sculptures 1928-1982" in the Centro Botin in Cantabria in Spain, from 20/03/2018 to 02/09/2018. Salvador Dali will also have his exhibition in Spain, in Barcelona. The exhibition "Gala Salvador Dali. A Room of One's Own in Pùbol" at the Museu Nacional d'Art de Catalunya from 06/07/2018 to 14/10/2018. "In Tune with the World" is exhibiting artworks by Henri Matisse at the Fondation Louis Vuitton in Paris (France), from 12/04/2018. - In Brussels (Belgium) at the Bozar from 09/02/2018 to 03/06/2018 "Beauty is everywhere"
Engdaget Legesse & Michael Tsegaye, are exhibited at the Mizar Art Gallery in Rome from 19/06/2018 to 15/07/2018. The name of the exhibition is "Territori Intrecciati". Piero Dorazio is exhibited at the VV8Artecontemporanea in Reggio Emilia (Italy) from 12/05/2018 to 24/06/2018. The name of the exhibition is Limina. Man Ray is exhibited at the Galleria d'Arte Moderna e Contemporanea Raffaele de Grada in San Gimignano (Italy) from 06/04/2018 to 07/10/2018. The exhibition name is "Wonderful Visions". Sebastian Matta is exhibited at the Galleria d'Arte Maggiore in Bologna (Italy) from 05/05/2018 to 31/07/2018. The exhibition name is "Le Forme del Sogno". Antonio Ligabue is exhibited at the Palazzo Ducale di Genova (Italy) from 02/03/2018 to 01/07/2018. Michelangelo Pistoletto, with the exhibition "Il Tempo del Giudizio" at Chiesa di Santa Maria della Spina in Pisa (Italy) from 27/05 to 31/08/2018. Mimmo Rotella is exhibited in Milano (Italy) at the Galleria Christian Stein from 10/05/2018 to 13/10/2018. There are two seat where to see the exhibition, exposing different artworks : Pero e Milano. Urs Luthi will be exhibited in Torino (Italy) at Fondazione 107, with the exhibition "Don't ask me, if you know, that I am too weak to say no", from 03/05/2018 to 15/07/2018. Giosetta Fioroni is exhibited in Milano (Italy) at the Museo del Novecento, with "Viaggio Sentimentale", from 06/04/2018 to 26/08/2018. Pino Settanni has its own exhibition at the Palazzo Viceconte in Matera (Italy). The name of the exhibition is FotoMVSEVM from the 31/05/2018 to 01/09/2018. At the Palazzo Ducale in Martina Franca, you can see the now famous "L'Altra Metà del Cielo" exhibition of Pablo Picasso artworks. From 24/04/2018 to 04/11/2018. - "Giorgio de Chirico e la Neometafisica" at the Palazzo Campana in Osimo from 31/05/2018 to 04/11/2018. Henri de Toulouse Lautrec, one of the most famous french artist will be exhibited at the Palazzo della Cultura in Catania, the exhibition is "La Ville Lumière", from 06/02/2018 to 09/09/2018. Afro Basaldella, will be exhibited in the Galerie Tornabuoni Art in Paris. The name of the exhibition is "AFRO". It was from the 17/04/2018 to the 16/06/2018. Giorgio Morandi had an exhibition from 10/05/2018 to 16/06/2018, entitled "Joan Salò / Giorgio Morandi - In ascolto."